The Student Assessment Center provides various examinations for the students entering South Texas College. Exams such as the TSI Assessment Exam, the American College Test (ACT), General Educational Development (GED), and many others from Pearson VUE are available. All exams are scheduled and administered throughout the year making it necessary to provide reservations for the various test types. What are the dates for the ACT? Go to http://www.actstudent.org/regist/dates.html to review the dates for the entire year. Where do we show up for the test? The place depends on the college/university location you choose during registration. Your Admissions Ticket will provide you with the time, date, and where to meet. Here at STC, the meeting location is in Building J - first floor lobby area. How much does it cost to take the ACT exam? How can I do my best on test day? You must have parental/guardian permission. Visit https://ged.com/ for test registration. *Test takers who took GED from January 1 2014 and onward. Visit ged.com to register for the GED® test. Do I need to take a TSI Pre-Assessment? All students taking the TSI for the first time are required to submit proof of completion before testing. No student will be allowed to test, until they have completed their Pre-Assessment Activity. If you have tested before for TSI and have completed your Pre-Assessment Activity you do not have to take it again. You can visit the link below to complete your Pre-Assessment Activity. What dates are available to test for TSI? Dates will be shown in the STC Marketplace site once you choose a testing site below. How much does it cost to take the exam? Where do we meet to take the exam? Throughout the entire year, we test in Bldg. K2-402 at the Pecan Campus; we test in F-129 at the Mid-Valley Campus, and we test in G1-404 at the Starr Campus. How do I sign up for the TSI? Visit the STC Marketplace online, choose a campus, and then choose the exam(s) and date of your choice. ACT: Composite score of 23 or higher and a 19 on the English and/or Math sections. Valid for 5 years after testing. SAT: SAT administered prior to March 5, 2016: a combined critical reading (formerly "verbal") and mathematics score of 1070 with a minimum of 500 on the critical reading test shall be exempt for both reading and writing sections of the TSI Assessment; a combined critical reading (formerly "verbal") and mathematics score of 1070 with a minimum of 500 on the mathematics test shall be exempt for the mathematics section of the TSI Assessment. SAT administered on or after March 5, 2016: a minimum score of 480 on the Evidenced-Based Reading and Writing (EBRW) test shall be exempt for both reading and writing sections of the TSI Assessment; a minimum score of 530 on the mathematics test shall be exempt for the mathematics section of the TSI Assessment. There is no combined score. TAKS: Minimum of 2200 on both English and/or math section with at least a 3 on the writing component on the 11th grade (exit level) exam. Valid for 5 years after testing. STAAR: Minimum of 4000 on English III Level II and 4000 on Algebra II Level II. Valid for 5 years after testing. Military: Veterans and active duty personnel serving for at least 3 years preceding enrollment. Transfer: Transfer from a private or independent institution or an accredited out-of-state institution and has satisfactorily completed college-level coursework as determined by the admissions office. Certificate: Are enrolled in a certificate program of one year or less (Level-One certificates, 42 or fewer semester credit hours or equivalent). College Preparatory Courses are valid for 1 year from date of graduation with grade of "C" or higher in English Language Arts (CP110100) and Mathematics (CP111200). What kinds of tests does Pearson VUE provide? Go to http://www.pearsonvue.com/ and click on Test Taker Services. Once you click on Test Taker Services, it takes you to where you would have to select your category and program for the test you are interested in testing. For example, click under Category: Academic/Admissions and on program, it provides you with all the different programs available to test in this case look for GED(R) Test. Once you click on that it takes you to sign up for a GED email account and then you are ready to register for the test(s). How much does it cost to take an exam through Pearson VUE? Pearson VUE exams are offered at the Pecan Plaza Testing Center, located at 2603 Pecan Blvd., McAllen. Make sure you take your admissions ticket, picture ID and any other information listed on your admissions ticket. The HESI (Health Education Systems, Inc.) Admission Assessment, administered at South Texas College is a computerized exam designed to assess prospective students entering certain health fields at STC. The South Texas College Board of Trustees has approved the HESI exam for Fall 2017. Beginning September 1st 2017, students can begin signing up for the HESI exam through the STC Marketplace and pay all applicable fees. Do I need to take the HESI exam? Please call the South Texas College nursing program of study for more information. How do I register for the HESI exam? View the HESI available test dates at STC Marketplace using the HESI store. After you select a test date and time, you will be prompted to enter your information, payment, and to check off rules and regulations to test for the HESI A2 exam. Students are responsible to check out if they are testing for the HESI exam for the second time, failure to provide that information will result in taking the wrong exam. Absolutely no refunds will be given for providing the wrong information. Once all information is entered, and your payment has been processed, you will receive a test date receipt which you will need to bring with you on the day of the exam. Your receipt is your proof of purchase, without it you may not be able to test. Create an Evolve account at evolve.elsevier.com. Click on I’m A Student, then click My Evolve. In the orange pop-up box, click Create Account. You will receive an email containing your username and password. Bring your payment receipt, your username and password, a valid non-expired ID. We do not recommend bringing in any other personal items; they are not permitted inside the testing room. If you bring any personal items, they will not be allowed inside the testing room. Students will be directed to place all personal items in a locker. STC nor the Student Assessment Center are responsible for any items damaged, stolen, or lost while being stored in the lockers. What fees do I have to pay to take the HESI exam? All students are required to pay a $25 reservation fee, plus a $45 test fee. All fees are not refundable and non-transferable. NO EXCEPTIONS . What sections will I be tested on? Students will be tested in seven areas and will be given a total of 5 hours for the exam. Where is the HESI exam administered? At this time the HESI exam is only administered at the Pecan campus. All students should report to the STC Student Assessment Center located at 2603 Pecan Plaza. What do I need to bring on the day of the exam? On the day of the exam, students are only required to bring in their valid non-expired ID, receipt of payment , and student username and password . Personal belongings, including electronic devices are not permitted inside the testing room. Students are advised to not bring these items on the day of the exam, however a locker is provided to store personal items if needed. SAC is not responsible for lost, stolen, or damaged items stored inside the locker. When do I know the results of my exam? A copy of the HESI test scores will be given after completion. The Student Assessment Center does not discuss test scores with testers. Students are recommended to discuss all test scores with their particular department of study. If you have any further questions or comments, please contact the Student Assessment Center at 956-872-3484. How many times can I test? Students are allowed to test for HESI only twice per eligibility period only. STC Nursing program may not accept HESI scores for students who test for more than twice per eligibility period. Students will not receive any refunds if they test more than twice per eligibility period. What is the HiSET exam? Age: In Texas, you can take the HiSET exam without meeting any additional requirements if you are not currently enrolled in high school and are at least 18 years of age. If you are age 16 or 17, not enrolled in high school and meet state requirements for an exception you can test. If you are between the ages of 16 and 21 and enrolled in public or TEA accredited charter high school equivalency program (Options) you may test. Note: No one under 16 years of age may request an exception. No one between the ages of 21 and 25 years who is still enrolled in high school may take the HiSET exam. Residency: You must be a resident of Texas to take the HiSET exam, and you must show proof of it on test day. Acceptable proof of residency includes a valid Texas driver’s license, a utility bill or a bank statement with a Texas address. Test Preparation or Instruction: You are encouraged to seek test preparation and instruction, but Texas does not require you to complete an instruction or preparation course in order to take the exam. Practice Test: Texas does not require you to take an official practice test in order to take the HiSET exam. The HISET exam at South Texas College is currently only available by computer. Can I mix and match scores from previously taken high school equivalency exams such as GED? Absolutely not, you may not mix exam results from other high equivalency exams such as GED. It is recommended that a student complete all sections with that same exam to receive their diploma. How much does it cost to take the HISET exam in Texas? ETS HiSET test fee: $10/individual test, which includes three attempts within 12 months from your date of purchase. Texas State Administration fee: $5/individual test, per attempt. Test Center fees: $10/individual test, per attempt. What do I need to bring on the day of my test? Acceptable and valid ID as required by the state. Make sure your name on your ID appears exactly as it does on your profile you created in your HiSET account when you scheduled your HiSET exam. Layered clothing that will allow you to adapt to a range of room temperatures. Please note: Cell phones, smartphones (e.g., BlackBerry® or iPhone® devices, etc. ), PDAs and/or any other electronic, photographic, scanning, recording or listening devices are not permitted at the test center at all. How can I schedule or change a testing appointment? To reschedule your appointment, call an ETS representative 1-855-MyHiSET (1-855-694-4738). You must contact ETS to schedule your appointment if you have a disability or health-related need and require accommodations. Contact ETS Disability Services. How do I know if I've passed the HiSET exam? What if something unexpected happens on test day, I don't cancel and I cannot make my scheduled appointment? Can I get a refund? 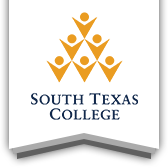 All students must comply with the SAC Behavioral Guidelines and Testing Dishonesty while taking any exam at South Texas College Student Assessment Center.